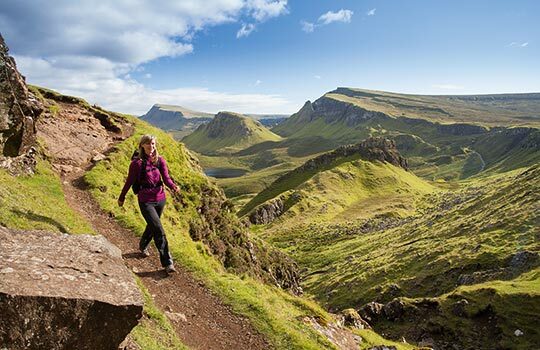 Join a Love Her Wild team as they tackle the world famous Skye Trail on the beautiful island of Skye. This will also be a skills week where you will have an opportunity to practice your navigation, learn essential survival expedition skills and learn from the well-respected industry expert, Rebecca Coles. Because the best way to learn about adventure is to go on one! 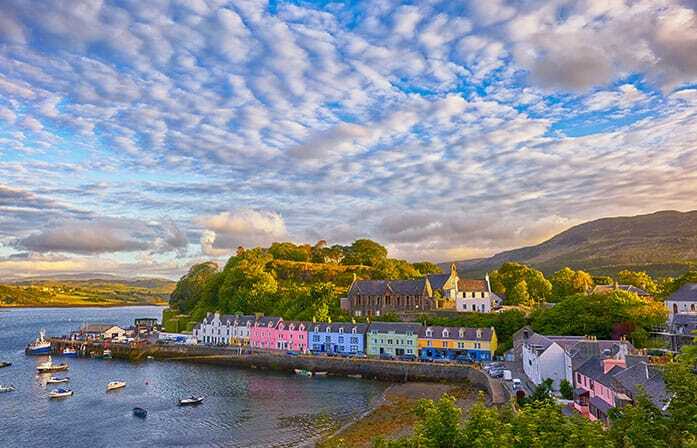 The Skye Trail is one of Britain’s long-distance trails which runs the length of the Isle of Skye. 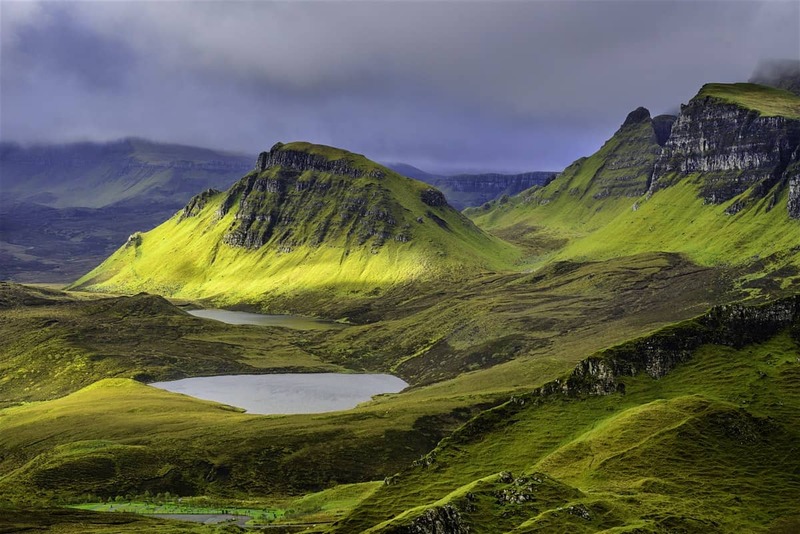 It takes in the diverse landscapes of Scotland’s misty Isle from the Trotternish Ridge and to the heart of the Black Cuillin. 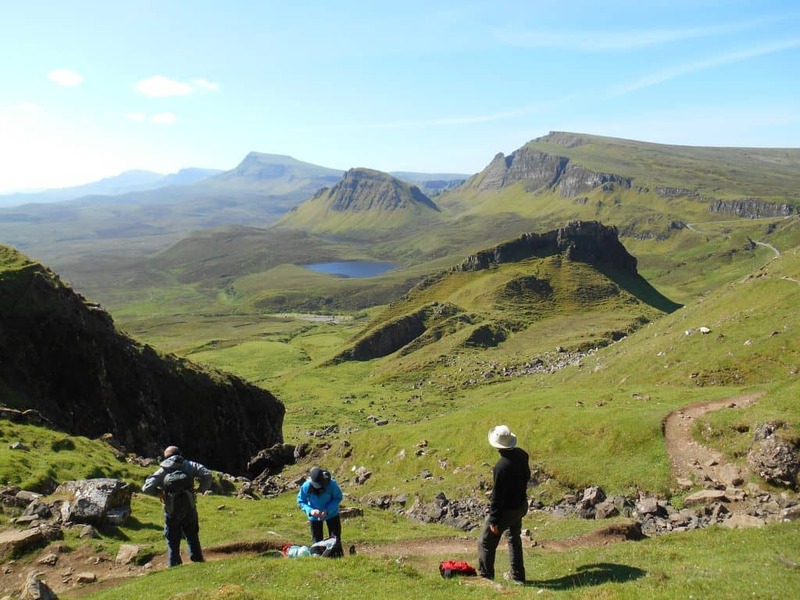 The team will meet in the evening on day 1 of the expedition in Portree, followed by 7 full days of walking. Broadford is the end of your expedition and you can expect to arrive mid-late afternoon after a full day hiking. You will camp throughout, planning to spend 2 nights in campsites and 4 nights camping in the wild. 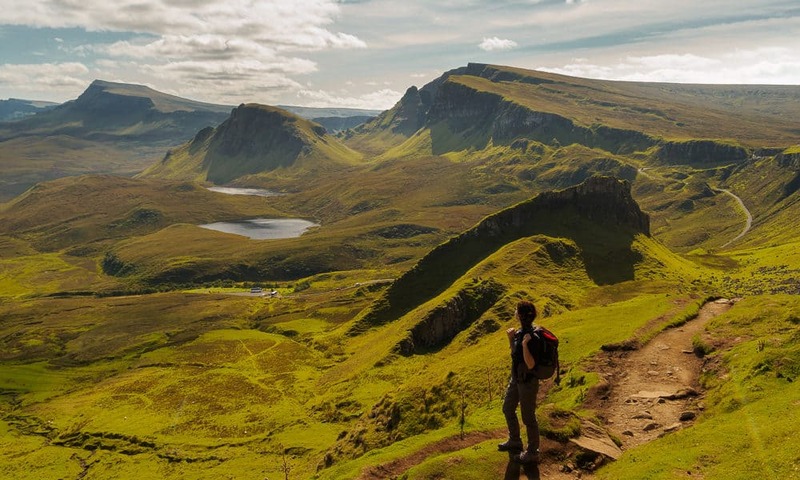 This is a challenging walk through some of the UK’s most iconic mountain scenery. Rather than just following the leader, you will also have the opportunity to practice and learn mountain hiking skills along the way. This is perfect for those who want to build their confidence and skills levels to take on bigger challenges in the outdoors….or for those who are thinking of getting their Mountain Leader qualification. Topics will include; navigation, group management, wild camping and interpreting weather forecast. 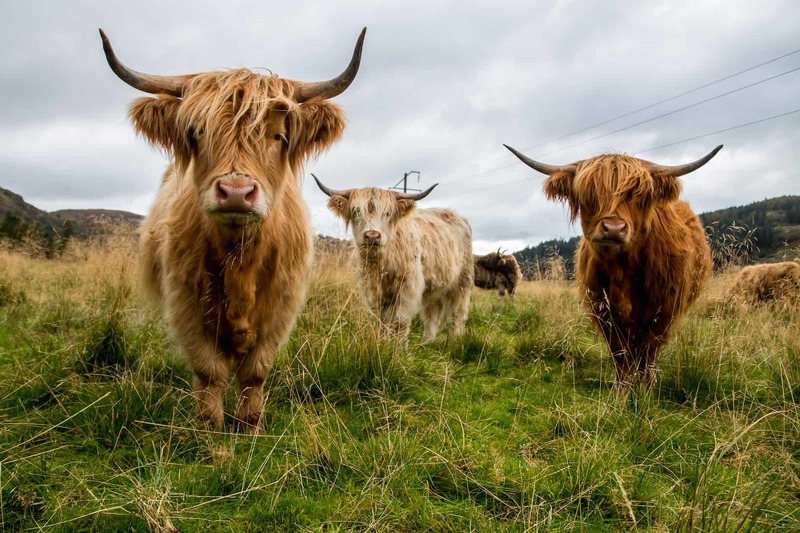 You will walk the Skye Trail with a Rebecca Coles a qualified Mountaineering Instructor (MIC), International Mountain Leader and a fellow of the Royal Geographical Society. Rebecca has trekked and climbed on all 7 continents. Whilst walking the trail Rebecca will train the team along the way sharing her vast knowledge and experience. Find out more about on her website. Essential – A minimum of some summer hillwalking experience including having experience walking in rough, untracked terrain and off footpaths. This could be in the UK or overseas. Physically and mentally fit enough to be able to spend up to 10 hours walking in the mountains with a pack of up to 12kgs consisting of up to 4 days of supplies (we will resupply in Portree) and have the energy at the end of the day to set up camp and cook yourself dinner. *Kit you will need includes: 50-65 litre rucksack, walking boots, waterproof jacket and trousers and suitable outdoor clothing. A tent, sleeping bag, mat, stove and camping fuel. Love Her Wild trips are a little different from the usual adventure tour company as we are firstly a community. We take the competition and judgement out of adventure, instead focusing on teamwork, building confidence, and just having a really good time. Adventure should be fun! If you’d like to find out more, check out our ethos on the About page. Once we have our team together we will start a team Facebook page as you may like to coordinate lifts to and from the island. If you are planning to stay additional days in Skye either side of the expedition we suggest booking early as the island can get booked up! Price includes a £200 non-refundable deposit. Full terms & conditions can be found here. To book your place on the expedition or for enquiries, please email us on [email protected]. Spaces are limited to a maximum 10. 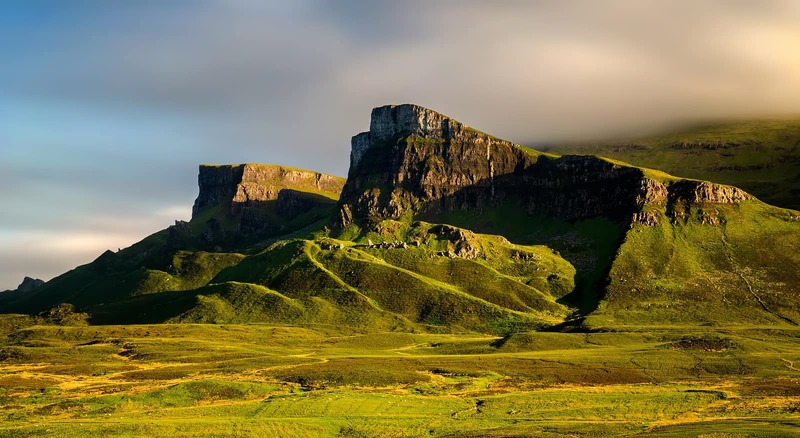 Please do not book your travel arrangments to Skye until you have received confirmation that we have received minimum numbers for this expedition to go ahead!